Mumbai: Constable Sudarshan Shinde, who put his life at stake to save some of those trapped in the fire at a pub last week, has been lauded for his exemplary courage by the Mumbai Police. 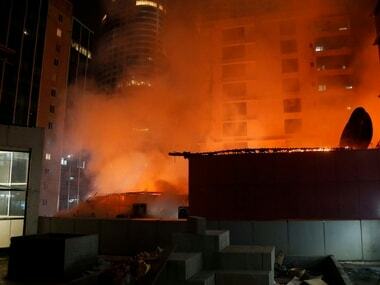 A deadly blaze broke out at a pub in the Kamala Mills compound on 29 December, claiming 14 lives. When some persons trapped inside the pub turned on the torchlights in their mobile phones, the policeman went inside in that direction. He then managed to rescue some of the unconscious persons by pulling them out on his shoulders, police said. The mayor, while lauding Shinde's courage, said the constable did not care for his own life while discharging his duty. "You have shown indomitable will as well as bravery and therefore I, being the first citizen of the city, am proud of you. I along with the people of Mumbai acknowledge your heroic efforts," Mahadeshwar said in a letter of appreciation addressed to Shinde.